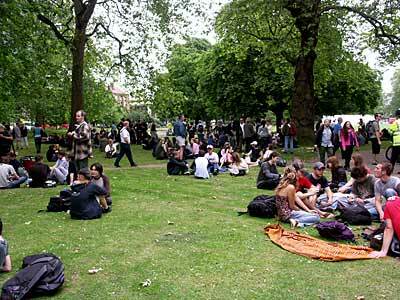 Hundreds of pro-cannabis marchers gathered in Kennington Park, south London from around midday. The police maintained a low profile, and people were able to enjoy a smoke without hassle. A glimpse of a more enlightened future, perhaps?